Over the past two weeks in art club we have been looking at different celebrations at this time of year. 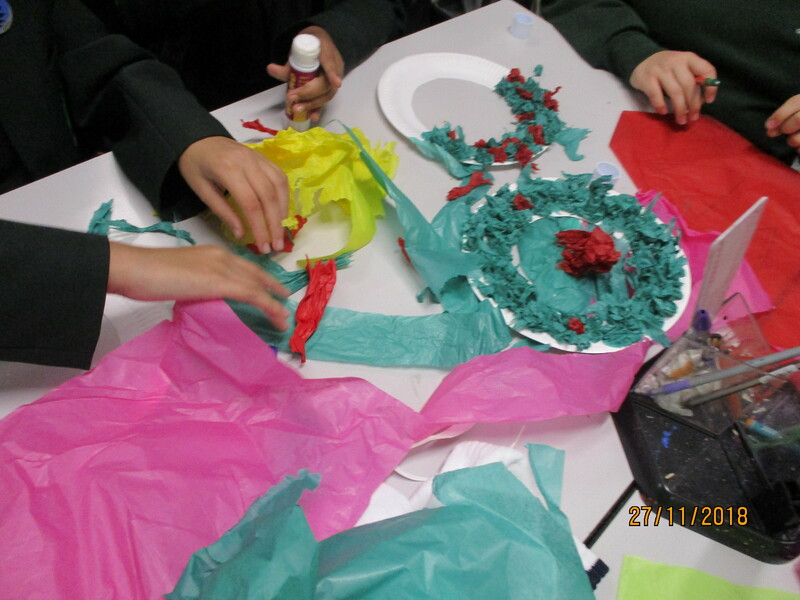 Firstly, we looked at Diwali, the Hindu festival of light which celebrates the victory of light over darkness and knowledge over ignorance. 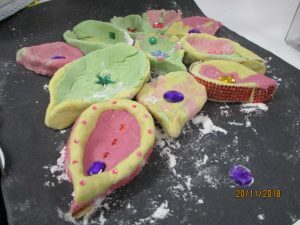 As part of this we created ‘Diwali Diya’, small oil lamps, out of salt dough and embellished these using beads and decorative gems. 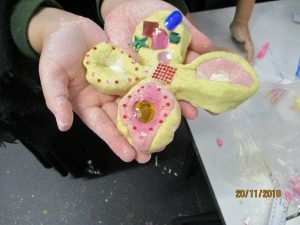 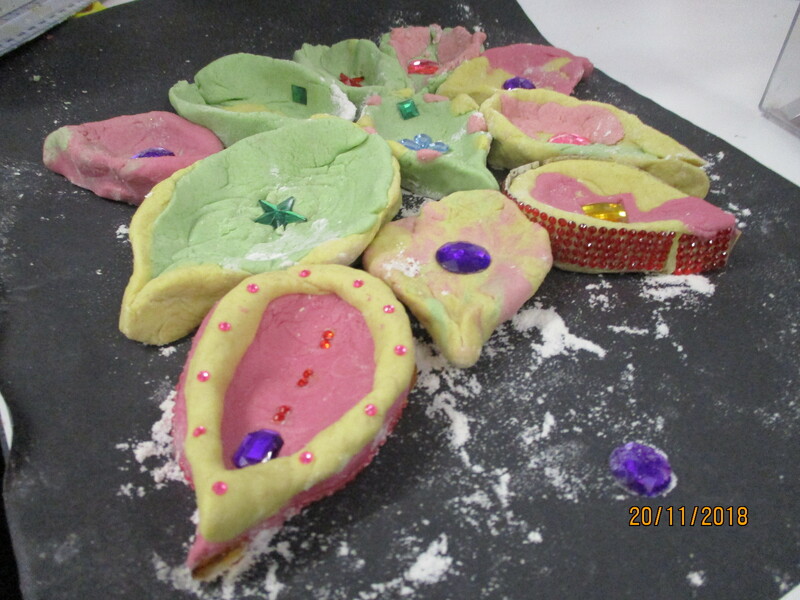 The students made their own dough and shaped the designs into petal dishes using an array of bright colours to reflect the traditional look associated with the festival. 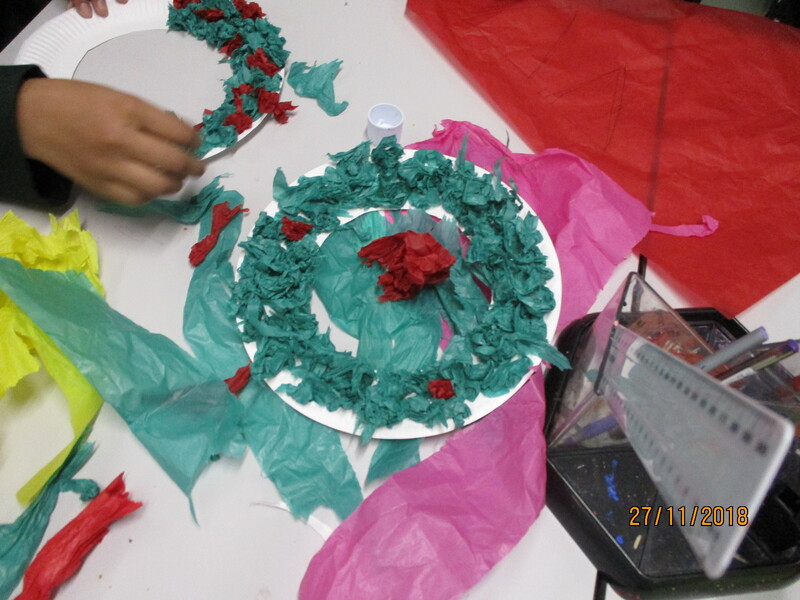 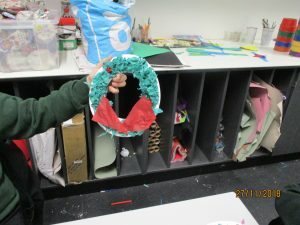 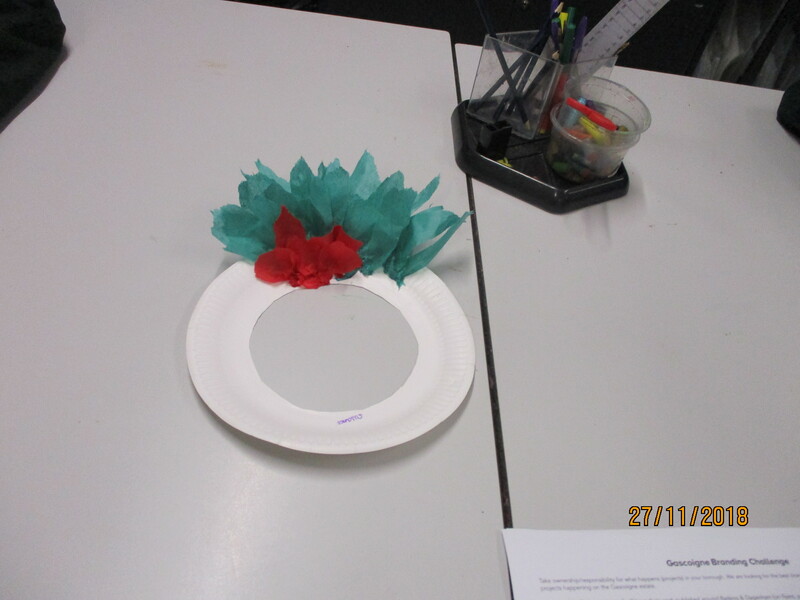 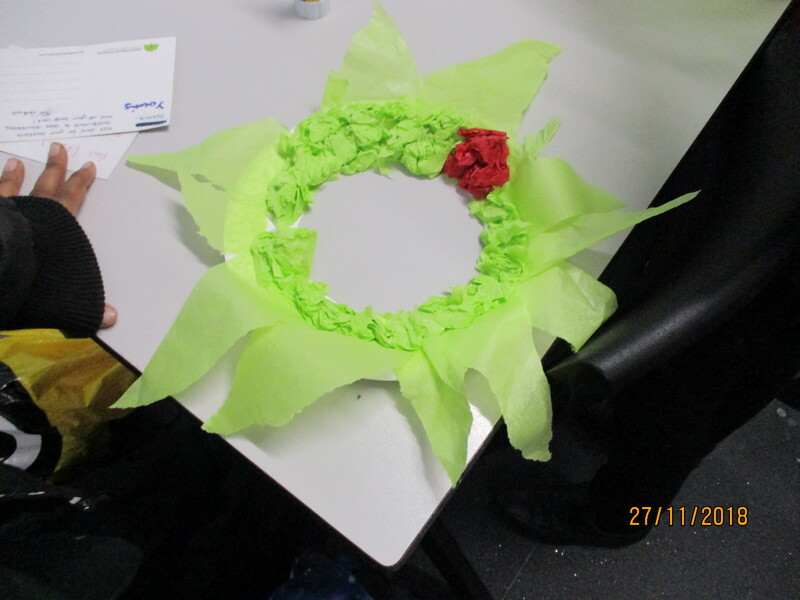 This week we began to get into the festive spirit further by creating Christmas wreaths out of paper plates and coloured tissue paper. 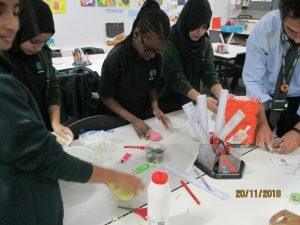 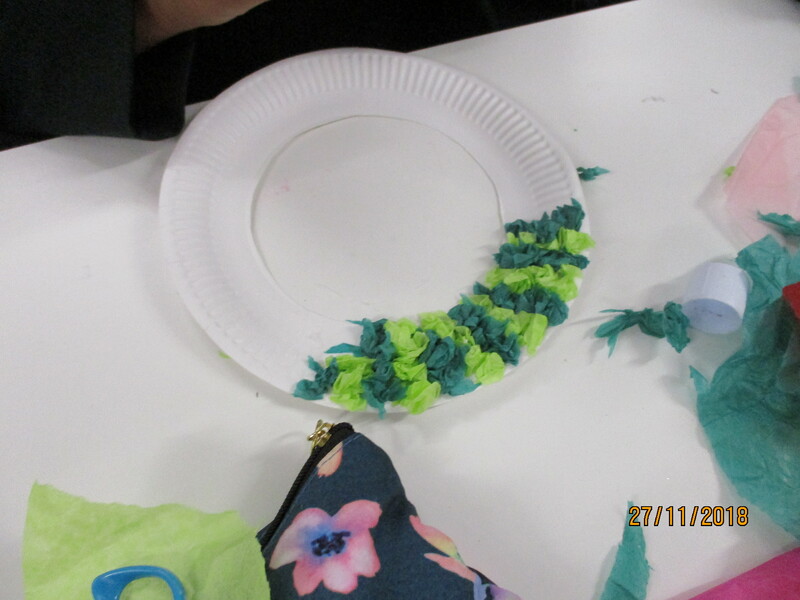 Once again the art club members show great creativity and enthusiasm for this task and produced exciting and colourful designs. Over the remaining weeks we will continue with this theme further and we will be creating posters, snowmen and decorations to support the upcoming Greatfields Christmas Concert on the 19th December.